Keep your cans colder longer with 3/8 thick foam birthday can koozies. The ideal adult birthday party favor idea. 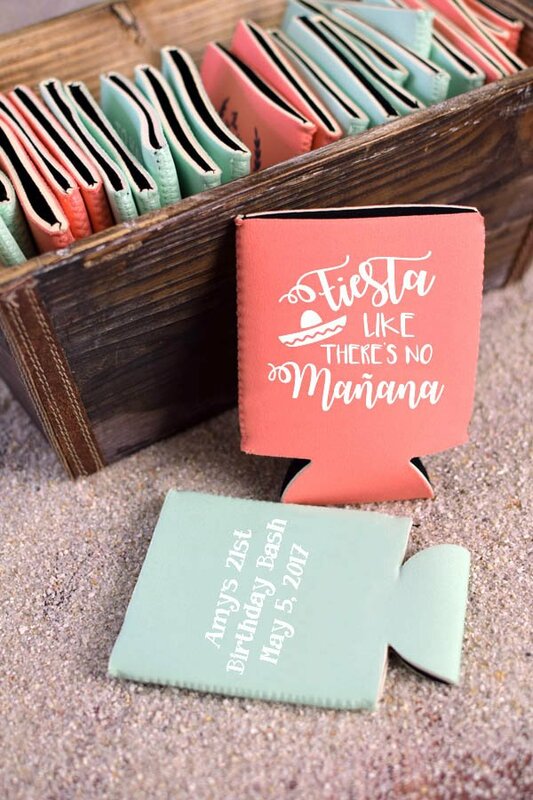 Custom printed beer can koozies are personalized with a festive birthday design and your own custom message printed in your choice of color and lettering. 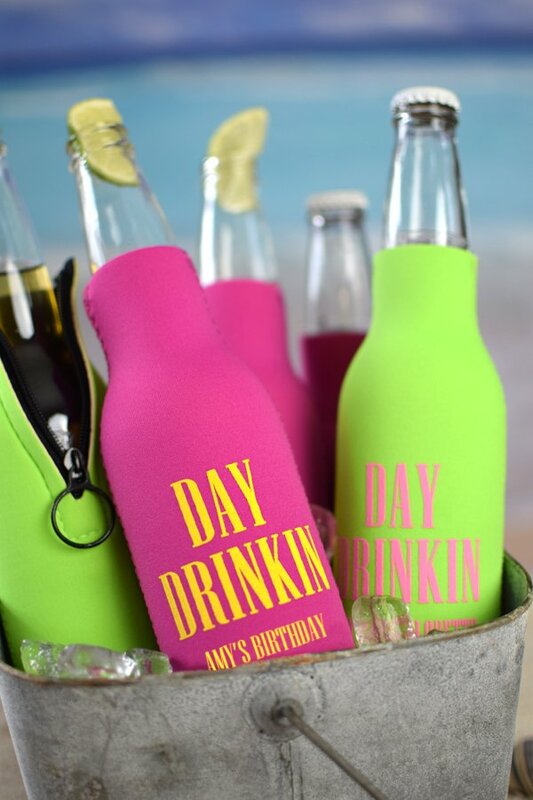 Each 12 oz koozie is made of 3/8 inch thick soft insulating foam with a rigid construction. Choose from 18 foam colors to match your party theme. Two-sided printing available at not extra cost. 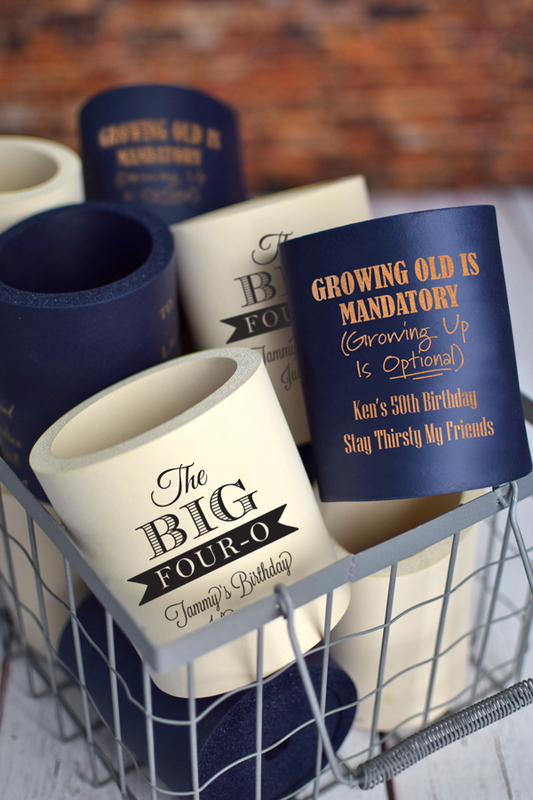 Great for celebrating any milestone birthday whether it is a 21st, 30th, 40th, 50th, or beyond. Keep your cans colder longer with 3/8 thick foam birthday can koozies. The ideal adult birthday party favor idea. I needed a quality product at an affordable price. I needed it quick. You fulfilled all my needs and my friends and family loved them. They were a very pleasant company to deal with and presented a very well made product. Ordered these for a joint birthday for my son and nephew. They turned out great! Since you can print on 2 sides, I was able to add both of their names. Easy to order, and the coozies turned out great! Good quality product. Great price, easy to customize and awesome quality! I searched for the thick koozies and this was by far the best deal for customizing your own! Love them! Great product! Perfect size and fun colors. Great product and my order was shipped quickly. I'll definitely use them again in the future.